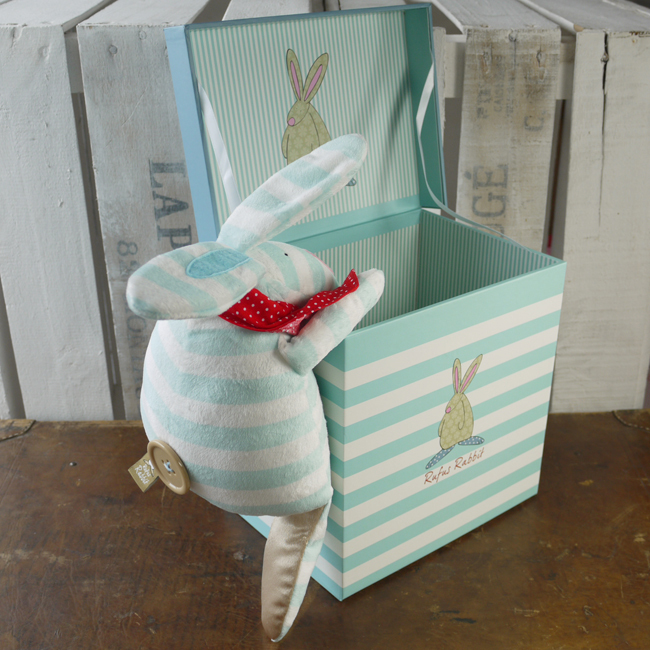 Sensory Soft Toy and Treasures Box from Rufus Rabbit. 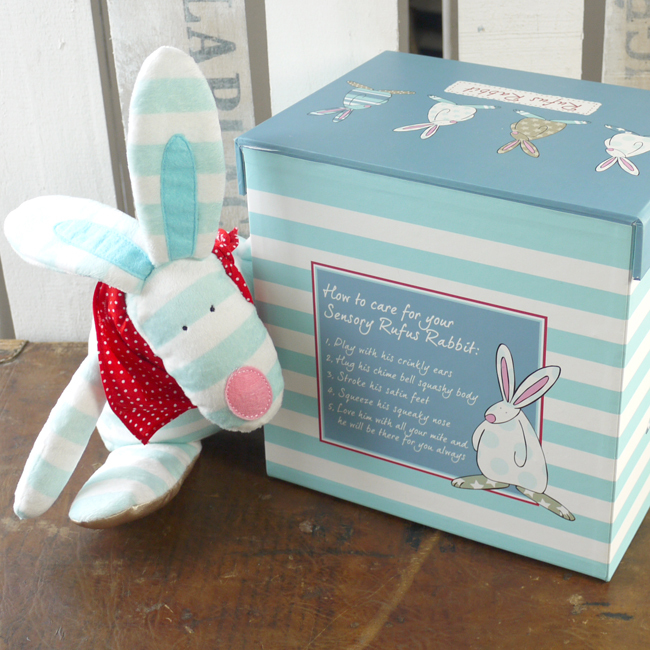 A lovely gift for the arrival of a newborn. 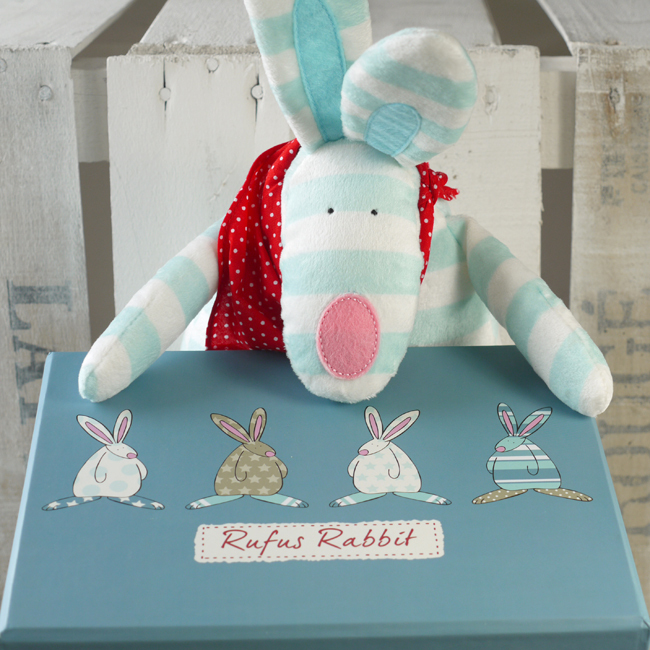 We love this Rufus Rabbit sensory soft toy and treasures box. 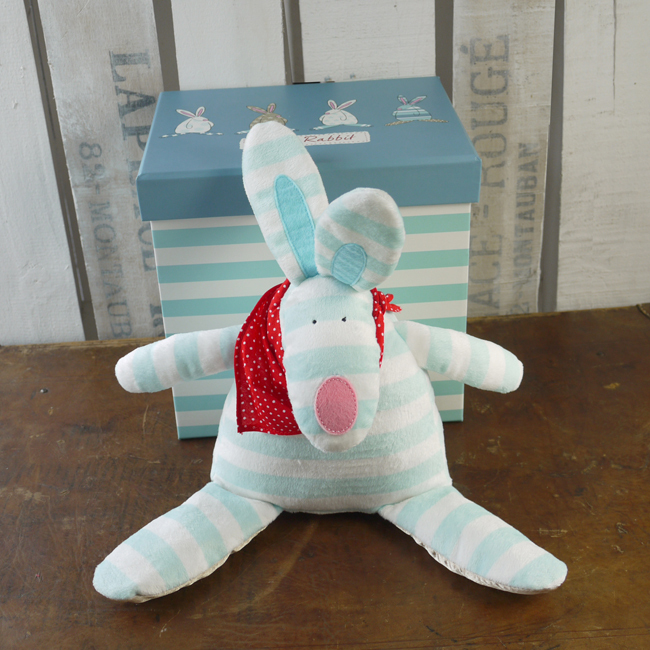 Sensory Rufus has been designed with the dear hope he’ll become an all time favourite. Rufus’ ears crinkle, his belly tinkles and the soles of his feet are satin soft. He is a great size for journeys near and far. The box is designed with the intention of being used as a treasures box. We have kept the descriptive text to a minimum for when Rufus has been set free! 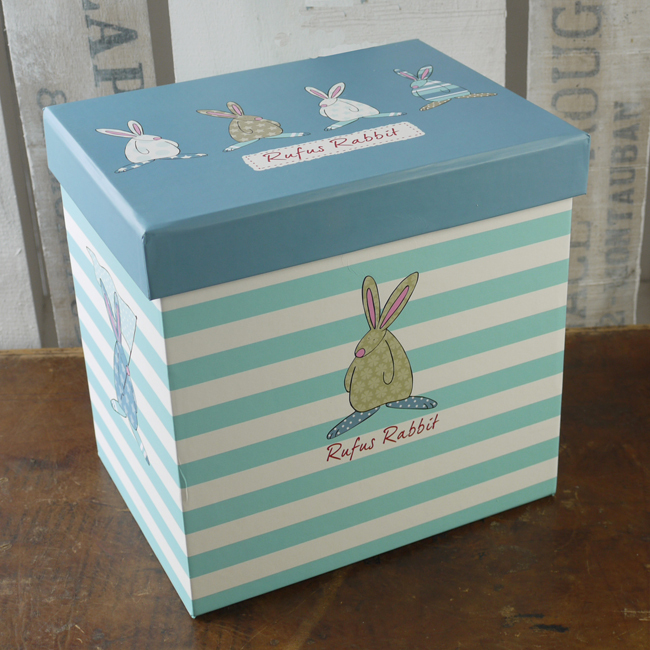 Our baby products have been put through the highest child safety tests so you can be confident that your little bunny is safe with our little bunny. Care instructions: Although technically it says wipe/sponge clean only, as a Mum with not a huge amount of free time I’ve popped young Rufus in the washing machine and he comes out fine. As with all soft toys, the more they are washed the more loved they look but for many that adds extra character. So the choice is yours, follow the care instructions or live on the edge! Whilst you are here, please do feel free to have a browse through Rufus’ blogs. Here’s one that may make you smile Anyone with willy leave the bedroom now.